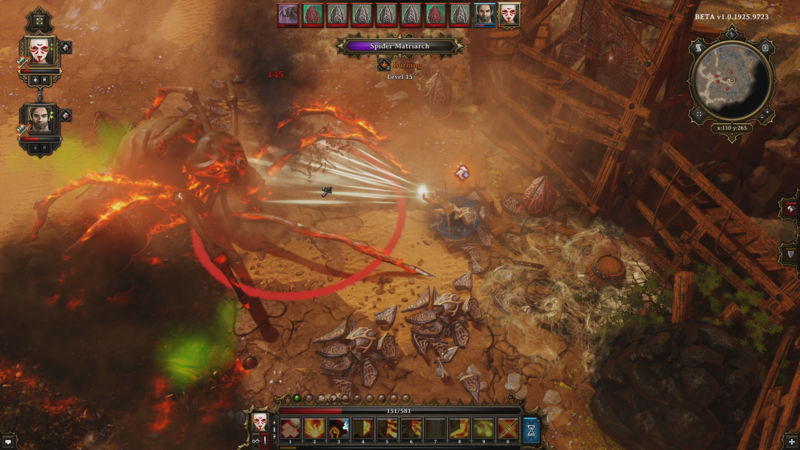 Larian Studios did something I never expected; they went far beyond the expectations for Divinity: Original Sin, the latest game in the Divinity franchise. 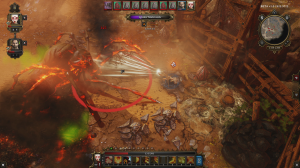 After the fans spoke out and helped Larian reach their Kickstarter goal, the company did everything they can to prove to their supporters they were out to make one of the best games possible. Divinity: Original Sin is an incredible game that heralds back to the heyday of classic point and click RPG’s, and in many ways surpasses many of the greats like Icewind Dale and Neverwinter Nights. 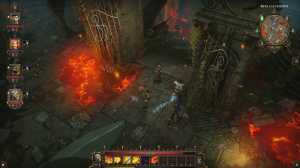 Larian Studios managed to set new standards in the realm of role playing with it’s unique approach to storytelling and highly addicting gameplay. Granted, it’s not a perfect experience, but the pros of playing Divinity: Original Sin heavily outweigh the issues that arise during your time playing. Before venturing into the world of Original Sin, you are greeted with modifying your two avatars. It’s a pretty standard character creation system, allowing you to alter everything from hair, voice, face, skin color and more. You also have an assortment of classes to pick from, like warrior classes, wizard classes and rogue/ranger styles. You can also assign a number of perks and abilities to each avatar, allowing them to be their own unique character. 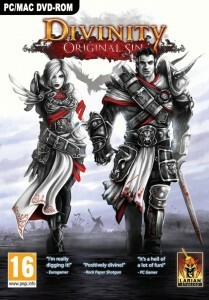 It’s all run of the mill and not as in depth as some of the other games in the genre, but there is one area that Original Sin gives you some unique options. Later as you progress in the game you will be given the chance to change your avatars looks if they don’t sit well with you. As you finally jump into the ever expanding and dangerous world, Original Sin‘s story slowly unfolds, starting with a mysterious murder that develops into a colossal “preventing the end of the universe” quest. Larian Studios did a pretty good job in regards to character development and plot progression, minus some hiccups here and there. The main plot progresses pretty well once you finally start making advances in the game. However, it is very easy to find yourself sidetracked doing side quests, and there are quite a number of them, ranging from finding a healing method for a traveling couples’ mount to helping three shipwrecked sailors find a new line of work. When you finally do manage to continue with the main story, you will come across a well written and engaging plot that has quite a number of twists to it, and a couple of those twists revolve around the mystery of your avatar duo. The character interaction system is one of the most well built I’ve seen in any RPG. Larian Studios didn’t see fit to just build the interactions between you and the NPCs, but with the party members and even between your avatars as well. The system works in a sense that anything you do in the world will have a certain outcome on how the characters react to you. Closing a door, leaving your party and an NPC alone in the room, will warrant the NPC to realize he is under threat and choose to attack you. If you have conflicting interests within your party, make enough bold statements they will eventually leave and refuse to work with you. You can even take role playing to another level with the conversations between your avatars and have them at odds or in agreement about certain items of interests. However, I feel like outside of quest essential NPC’s and your party, there isn’t much else going on in regards to rest of the gaming cast. Non essential NPC’s pretty much spit out the same dialogue and script over and over again, and vendors will continue to do business with you regardless of how they feel about you. For instance, an early quest has you wrongfully incarcerate a widow merchant who detests you once she’s freed, but simply goes about business like it never happened. Some once essential NPC’s that helped you with quests outlive their usefulness and just become parrots, repeating the same thing over and over. Of course, the NPC interaction and roleplay dialogue only takes up a fraction of Divinity: Original Sin. There’s still the highly interactive world up for exploring and the incredibly fun and challenging combat. 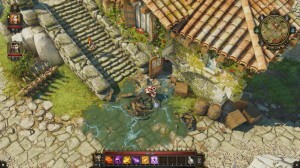 Traveling over the world of Divinity: Original Sin is very exciting, as you just don’t know what to expect. Along the way, you will find everything from unexpected traps, talking animals, wells and statues, waypoint portals, dungeons with lots of secrets and tons of dangerous monsters. There’s also a huge amount of items that you can move about for many reasons. For instance, you may come across a locked chest or door and decide you’d rather not bash it open, saving your weapon durability. You can move a nearby item and discover a key to open said chest or door instead in some cases. There’s also a lot of environmental interaction as well. There are some areas that are flooded with poison and no way around, so just cast a fire based spell to set it all aflame and wait for it to settle to cross. You can also sleep in almost any bed to regenerate health. I really like how the developers force you to try and figure out puzzles or how to problem solve. This also expands into the combat, which takes quite a lot of trial and error. To be truthful, the combat is the part of the game that takes the longest to get the hang of, because it’s not like a traditional tactic based combat engine. It does appear to have the feel of one, but you have to engage in the combat to truly understand what I mean. You can’t just charge in and take on a legion of six or eight skeleton warriors without some kind of battle plan. That will get you killed within seconds, and this kept happening to me. I started to get extremely frustrated, yet I continued on. Remember when I mentioned that the story starts a little slowly to develop? Well that’s mainly due to the first few hours of trial and error combat, which started to make me frustrated, but then I started to take a different angle with my enemy encounters. At times I have found loop holes where I can kill some kinds of enemies without directly engaging them, by having my mage cast oil around an enemy, set it on fire with a fire spell, then let them slowly burn to death while steadily casting oil to keep up the fire. At times you also have to set up certain aspects before even beginning a battle, like casting a rain spell to combat enemies in a fire infested forest in order to prevent them from healing themselves and gaining that tactical advantage. This style of turn based combat is tough, and it challenges you in ways that Baldur’s Gate and Dragon Age Origins never did… and I like it. Original Sin doesn’t hold your hand and tell you what combinations of spells or weapons work; it leaves that up to you to discover and figure that out. It’s a very rewarding experience when you win a battle because you feel like you truly had to outsmart your opponent. Aside from the combat, I felt encouraged to do lots of exploration, like any traditional RPG in this day and age. However, it wasn’t because I would receive experience from discovering a portal or a point of interest; I was truly curious to check every corner of the map. There’s is always some kind of unique thing just waiting to be discovered, like a burning chest that hops away after you douse the flame, or some talking statues that lie about granting wishes. There’s always something hidden just begging to be explored. 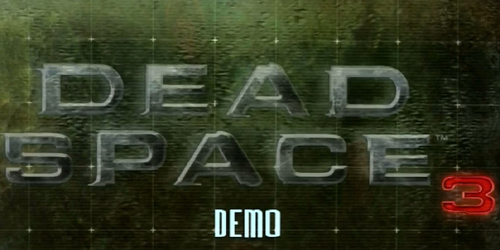 The leveling system in place is pretty generic and follows in the vein of other RPG’s. You accrue points every level up to distribute to skills and stats. Every other level, you are given a point that lets you add a new perk to your characters’ abilities, like pet pal or lone wolf. It also seems rather easy to level up, as everything you can accomplish rewards you with a large amount of experience points. Exploration, dialogue with NPCs, combat of course, and quest completions all give out experience in droves. Now, there are those small issues that I briefly mentioned at the beginning, so I will lay them all out right now. My first issue with Divinity: Original Sin is the inventory system and bartering. 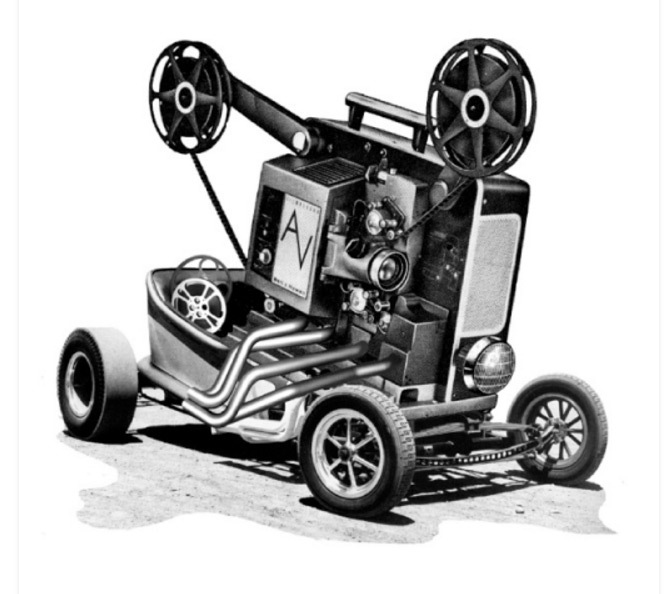 For the most part it performs its function, but not without some aggravation. The inventory system is a complete mess, and commits the cardinal sin of not having an auto arrange button. It’s really a pain in the neck to constantly rearrange everything manually. The bartering system when dealing with merchants, for the most part, is nonexistent. No matter how good a relationship you have with a merchant, you can’t get lower prices or more money for items you sell. The second issue is with all the bugs and glitches that pop all over the place. During the course of the game, I’ve seen quest items disappear from my inventory, broken quests because I accidentally killed someone before talking to them, and have had my game crash to Windows during a quicksave or quickload. There’s also numerous graphical glitches that I have encountered, like spell effects just appearing as a black square occasionally or walls not going transparent when they should. Now, granted, these glitches don’t appear as often as I seem to have let on, but nonetheless, they have disrupted my game at the most inopportune times. Yet, these issues don’t really demerit much from the game, especially when Larian Studios has been going out of their way to correct all these problems in a timely fashion. 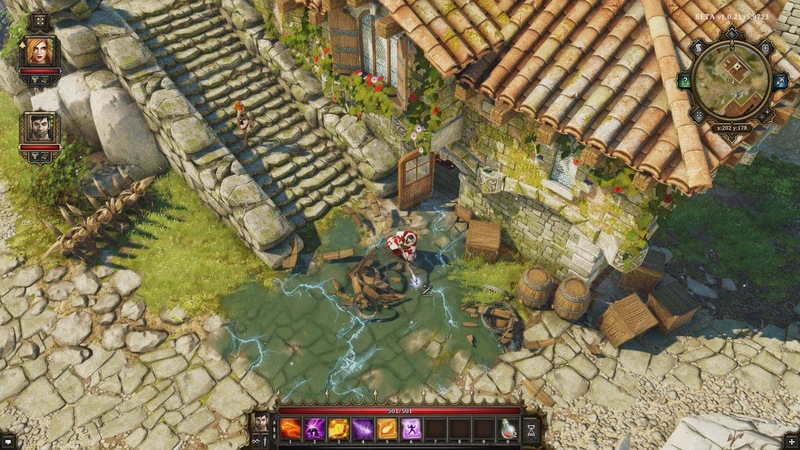 Overall, Divinity: Original Sin has a lot going on for it. 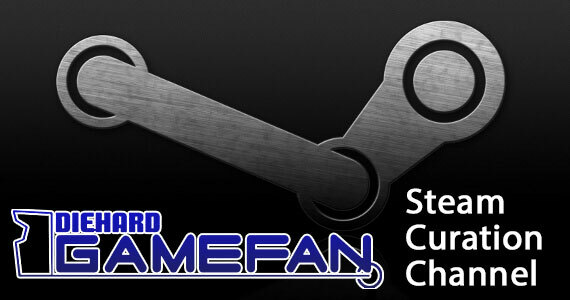 It’s a huge game with lots to explore and interact with. As a whole, I estimated the main quest to take around forty to fifty hours or so to complete. 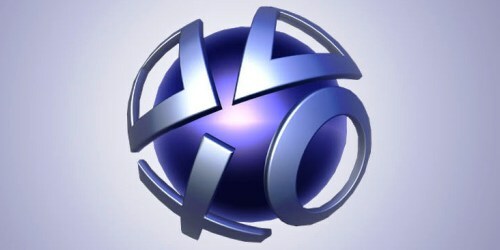 Throw in the numerous side quests and dungeons to explore, and you can double the time. 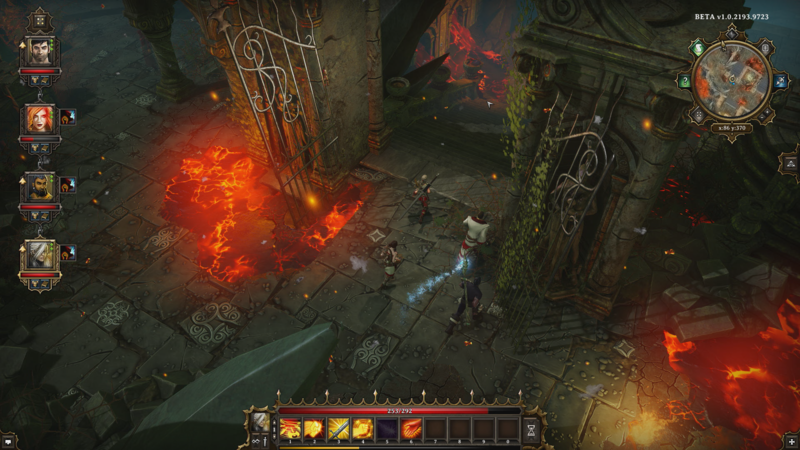 The combat is challenging and fun, and exploration is encouraged. I also never really had a chance to mention the alchemy system and spell creation, which is also a fun time killer. There’s also a creation tool kit that lets you create your own worlds, quests and what have you. Divinity: Original Sin has completely surprised me and turned out to be an even more stellar game than I had anticipated. Divinity: Original Sin has lived up to its huge expectations and then some. Larion Studios has delivered a huge game with strong emphasis on exploration and interaction. There is also an element of encouragement to roleplay with your own avatar, which adds a unique and fun spin to the game. The combat is what drives this game the hardest, as it’s both rewarding and exciting in how it challenges you. The game will take hours upon hours to complete for just the main quest alone, and there’s a ton of side quest as well. The issues, like glitches, a poorly implemented interface and nonexistent barter system, don’t detract from the excitement that Divinity: Original Sin offers you. Larion Studios has delivered one of the best RPG’s in years. Divinity: Original Sin easily stands side by side with other great games, like the Fallout series, Neverwinter Nights and Baldur’s Gate. Definitely not an experience you want to pass up.